Apple season is here! Fall has to be one of my favorite times of the year. And it’s perfect that Ela is starting solids right now because she gets to munch on freshly picked apples. Farm to highchair! 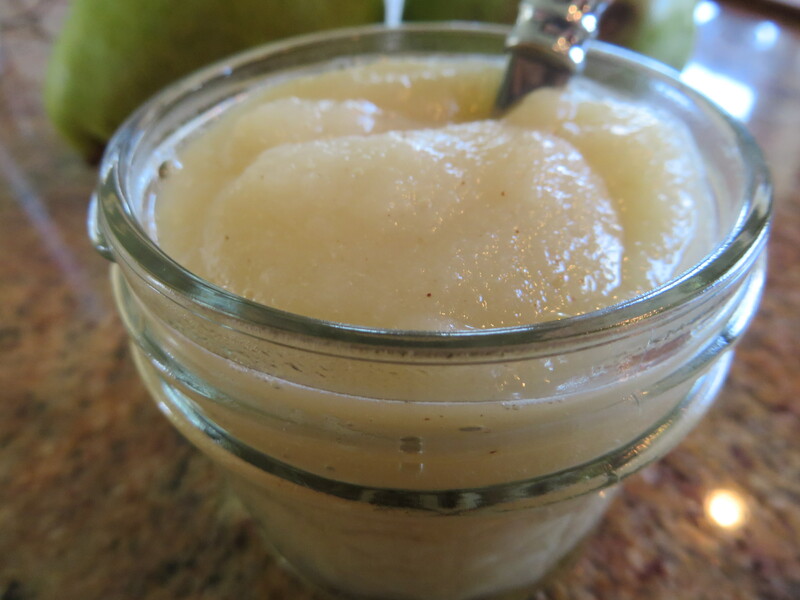 As I learned with Kirina, applesauce is one of the easiest meals to make at home for baby. No need to buy jars, pouches or the like. The basic recipe? Core, peel and slice some apples (get them from your local orchard if you can; if not, grab what you can. All varieties work well with the exception of maybe Red Delicious). Place in a saucepan with a few spoons of water, cover and simmer on low to medium heat until soft. 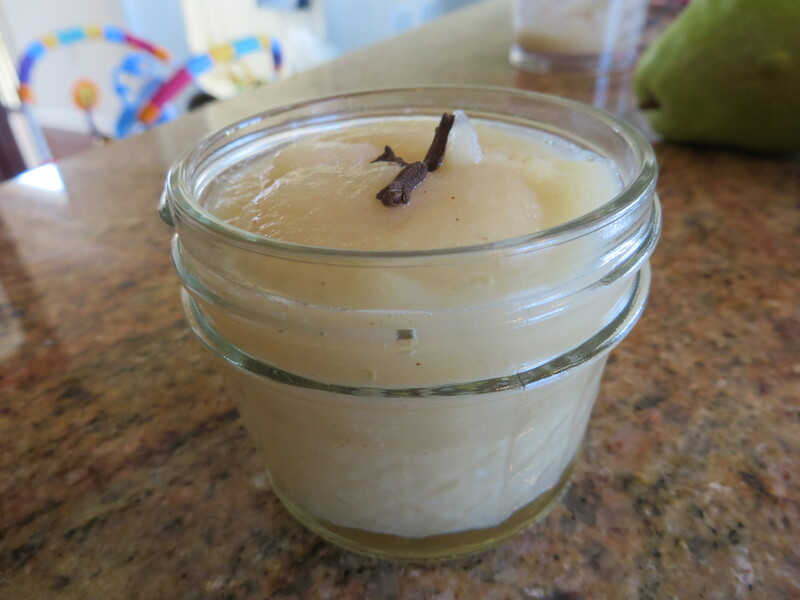 Puree in blender or use a stick blender. That’s it! 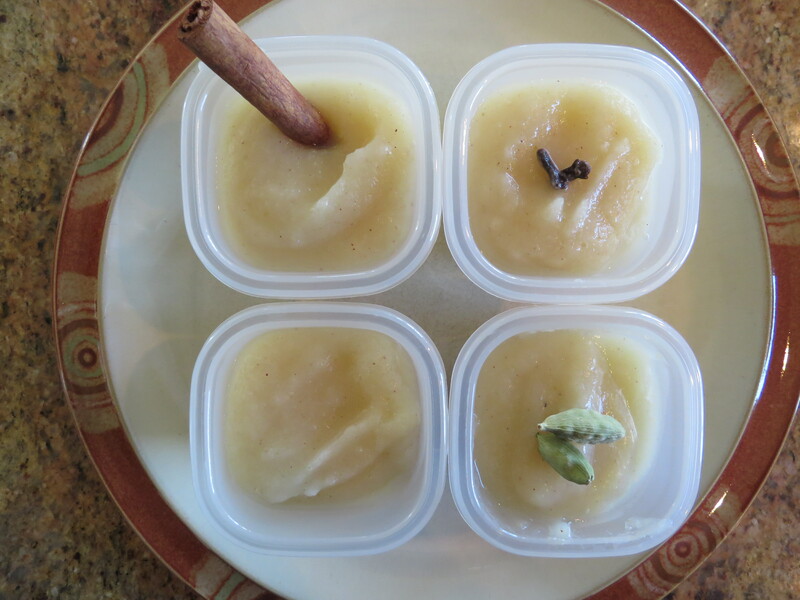 Applesauce, four ways. Cinnamon, clove, nutmeg and cardamom. Spices are for photo only. Add a pinch of ground spice to actual sauce! This list is not exhaustive! Other spices work well too, including saffron, pumpkin pie spice and vanilla (or vanilla sugar). I guarantee you will not only have a happy baby, but a house that smells divine!